Nannies and teachers are alike in many ways. More and more teachers are thinking about leaving the classroom to become nannies. Nannying gives teachers the opportunity to work with kids on a one-on-one basis. Here we explore how you can translate your teaching experience into effective childcare as a TLC for Kids nanny! Nannies, like teachers, have to pull from a broad skill set in their work. One of the most important qualities a teacher has is creativity. If you have teaching experience of any kind, you are probably more creative than even you realize. Whether you’ve had to create art projects and games, modify lesson plans to suit your students’ needs, or invent new ways to motivate students, you have had to think outside the box to find what works best for your class. You can use the same effort you put into engaging your students, to come up with a variety of activities and adventures for the children now in your care as a TLC nanny. As a teacher, meticulous planning and creative lesson plans are never quite enough; students always manage to come up with new ways to challenge you. The patience and kindness you show in these situations are important skills for any nanny. When you are caring for a child, it can be difficult to stay “on” at all times and be positive at any given moment – particularly if you are tired, or distracted, or don’t really want to read the same book to your kids for the fifth time today. But if you have teaching experience, this is a hurdle you’ve jumped often. If you can produce the patience and fairness to be a good teacher to your students, you’ll find you have that same ability as a nanny. Like teaching, nannying can be unpredictable work. There are many times when you need to strike that perfect balance between being reliable and flexible. You know how important it is to leave space in your schedule in case you have to deal with a last-minute issue; you know to always come prepared with an activity, but ready to abandon or modify it to suit your kids’ needs. That balance is at the heart of any work in which you are tending to the needs of other people. Taking care of children, whether as a teacher or as a nanny, challenges you to use the best parts of yourself – your creativity, your compassion, your dependability, your flexibility, and so much more. That’s exactly why it’s such rewarding work. 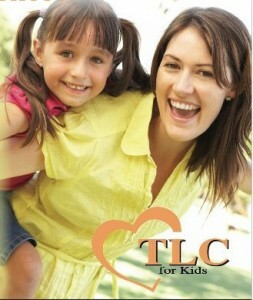 If you would like to apply for a TLC nanny position please visit our website. Welcoming a newborn baby is an exciting and joyous time. However, caring for your baby, yourself and your family can be overwhelming. Many families look for help during this happy and exhausting time. TLC for Kids has newborn caregivers trained to help mom, dad and baby adjust to life at home. TLC has three different levels of experienced caregivers ready to help. Postpartum Doulas, a Baby Nurses and Newborn Care Specialists are the most popular caregivers for families with newborns. How do you know which one is right for you? Read the brief descriptions below to see which caregiver will work best in your house. A Postpartum Doula provides support for the mother and the rest of the family. A big part of the Doula’s job is to “mother the mother” and help the new mother recover after birth. Doula’s often focus on education. The Doula can offer breastfeeding and bottle feeding support, help establish newborn procedures and routines, along with other infant care needs. The Postpartum Doula aims to make the mother comfortable and confident in her new role, and to empower the parents to care for their new baby themselves. The Doula can also provide some light housekeeping, errand running and meal preparation. In Miami and Fort Lauderdale Postpartum Doulas can range from $14-$25 per hour. A Doula’s hours typically range from 4-6 hours a day, but overnights are also possible. The parents can also decide if they want the Doula every day or just a few days a week. There are certification programs that some Doulas complete through these organizations: DONA, CAPPA, Maternity Wise, or Childbirth International. In South Florida the words “Baby Nurse” typically mean around the clock infant care assistance. Baby Nurse does not mean the caregiver is a registered nurse. She is typically a non-medically trained caregiver whose main focus is on the infant. The Baby Nurse has a bed in the room with the baby. She is responsible for feeding, changing, burping, rocking, soothing, and swaddling the new baby. The baby nurse may also assist with the infant’s laundry and bottle washing. In the Miami and Fort Lauderdale area a live-in Baby Nurse charges between $200 and $275 per day. The responsibilities of the NCS include feeding, bathing, changing the infant, washing/cleaning/sterilizing bottles, and initiating a schedule for sleeping, meals, nap and play time. Other responsibilities include advising and providing any requested consultation on infant needs, swaddling, breastfeeding guidance, cord and circumcision care and nursery organization. An NCS can work days, nights or around the clock. The training a NCS receives can vary from more official groups like Newborn Care Specialist Association (NCSA) to smaller trainings led by individual agencies or no specific training at all. Many NCS have been providing care to new moms for decades! They bring to the family years of practical experience. All three caregivers offer overnight services. Which is good because a good night’s sleep is by far the biggest need for parents with an infant! The caregiver typically arrives at 10 pm and stays until 6 or 7 am, allowing parents to sleep and feel well rested for the next day. For more information, call TLC and ask about Postpartum Doulas, Baby Nurses, and Newborn Care Specialists today. Or visit the Newborn Care page on our website. TLC can provide an extra set of loving arms for you and your new baby! Another month for our “Three minute Q and A with TLC nannies.” Each month we are bringing you some great Q and A with our nannies so they can share some info and insight about the nanny profession and educate others on some of the fun aspects of the job. This month we interviewed Janet. The short answer is I LOVE kids!!! I’ve babysat since I was a teenager and have always loved hanging out with kids. When I went to college the best choice for me was a degree in early childhood education!! I have worked in church preschool programs, in day cares and really enjoyed teaching kids about the world helping them grow and learn. Then I did respite for kids with autism and it was one on one and I really enjoyed seeing the difference I could make for that one family. And I liked getting to know and interact with parents to support and encourage them too. In July it will be 6 years ago that I started looking for a nanny job and I got as far as putting in an application at TLC. I was hired and had a set of twins for two years! I’ve done both the temp and full time permanent side of TLC. I’m currently with another family that I got through TLC and have been with them for 2 1/2 years so far!! 3) What fun activity are you forward to doing with your charge(s) this week? Swimming, the library and story time. I’m sure at some point there will be a request for Grant’s Farm which is her current favorite place! We also love the zoo and going on playdates at friends’ houses or the park or having friends come over and play. Some of them just happen. Like yesterday we didn’t have a set plan. I had thrown out a few ideas and the dad suggested a splash pad. The little girl thought it was so fun to pull me close to the water and try to get me wet! Most of the activities for art or sensory I get from my days at working in day care and some from the internet. I can’t pick one favorite craft. Right now the little girl is really into finger painting and we like to use different things like a cotton swab or crumpled up paper or rolling a car through the paint. I don’t really follow any. There is a nanny playgroup on FB that we would love for more people to join! We would like to be more involved with meet up groups or something but I’m not the best at suggesting things. I’m more of a spur of the moment, “oh, we are doing ______ if anyone wants to join us” which doesn’t usually work too well. But if someone planned or put it out there for a playdate we would come if we can! When hiring a babysitter to supervise their kids, parents don’t want someone to come over and watch TV. They want a sitter who will interact and play with the kids. If you do a good job and you and the kids have fun the parents will request you back next time. Here are a few ideas you can do next time you are babysitting. Play cards and board games: don’t forget favorites like Hi Ho Cherry-O, Old Maid, Go Fish, Checkers, etc. Have a puppet show: make puppets out of lunch sacks and construction paper. Dance: turn up the tunes from Sesame Street, Radio Disney, and Wee-Sing for a toe-tapping good time. Make jewelry using yarn and a variety of pasta shapes. You can paint them too. Paint a shirt, hat or tote bag using fabric paint. Have a treasure hunt hide things around the yard or house and have the children find them. Make musical instruments use spoons, pots and pans, paper towel rolls, paper plates and dried beans… and MARCH! Build a “fort” using boxes and old blankets. Make homemade holiday cards cards will all be more special when made by the little ones. All of TLC for Kids’ sitters and nannies are experienced child care providers and thoroughly screened by our professional staff. For more information about hiring a TLC babysitter in Florida or Missouri, please visit our website. It is finally summertime! TLC for Kids nannies and sitters can spend their days playing outside and soaking in the sun! I have seen so many great outdoor ideas for things to do this summer on Pinterest. Now would also be a great time to update your TLC goody bag with things to do outside like bubbles, chalk, or a kite. Just a few reminders when spending time outside this summer. Remember to use sunscreen. Ask mom or dad where it’s kept and how they would like it used. Also, keep little ones in the shade or under an umbrella. TLC babysitters are not allowed to go swimming. This doesn’t mean you can’t enjoy other water play ideas. With the parent’s permission you can play with the sprinkler, water balloons or water guns! Don’t lock yourself out of the house. Stay hydrated. Make sure everyone is drinking plenty of water while playing outside. Remember TLC for Kids sitters in South Florida and St. Louis are experienced and screened and ready to come play with your kids this summer!